Inspired by Ascended Master Buddha, Lightarian Reiki has been brought forth now to accelerate the healing process for humanity...focusing on expanding your abilities as a Reiki Teacher/Practitioner to channel healing energies of a higher vibrational nature for the benefit of others. Through your enhanced and expanded attunement connection with Ascended Master Buddha, you will also personally benefit in your own healing process...by raising your personal vibration as you step through the four levels of the Lightarian Reiki program. The inspiration and development of Lightarian Reiki began in 1997 via connections with the highest energies of Master Buddha. His intentions were, and still are, to stimulate self-empowerment of the teacher by keeping the attunement and healing process simple...therefore, no new symbols are used in Lightarian Reiki. Through intention rather than symbols, the teacher is encouraged to more effectively access the highest vibrational energies of Master Buddha while also tapping into his/her own inner power (Higher Self connection). The simple techniques of Lightarian Reiki allow the teacher to deliver the highest available healing energies to clients and to provide powerful and effective trainings and attunements to students. First Band... Usui-based Reiki These vibrational frequencies create the foundation for all Reiki energy work. After one is attuned to the Usui levels and works with those energies for awhile, an individual may feel compelled to move beyond this introductory stage....to accelerate his/her pace of spiritual growth and the raising of personal vibration. Second Band... Karuna® Reiki As the individual feels motivated to continue to expand within Reiki, one can enter the second band of the spectrum occupied by Karuna Reiki and the Lightarian Buddhic Boost (details below). Third to Eighth Bands... Lightarian Reiki Beyond the second band, there are six additional higher bands of Reiki energy, called Lightarian Reiki, which offer the most powerful healing energies available from Master Buddha. The six vibrational bands of Lightarian Reiki (Third to Eighth) have been organized through our effective teaching and attuning process into just four training levels. These four levels are called Lightarian Reiki I & II, III, IV and V & VI. * Level I & II: The majority of the principles of Lightarian Reiki are taught and your initial Lightarian attunement with Ascended Master Buddha is delivered at this level. This first training/attunement prepares you vibrationally to receive the attunements in the three higher levels. * Levels III, IV and V&VI: After receiving Lightarian Reiki I & II, the three advanced attunements progressively "step up" your energies into higher vibrational levels within the Reiki spectrum, connecting you into higher aspects of the Buddhic healing energies. Also, during each of the advanced attunements, an introduction and permanent connection is made with a different supportive celestial energy to enhance the healing process. These etheric beings have their energetic specialties and make unique contributions to the sessions. (2) the energetic Attunement itself - delivered in-person, by telephone or by remote. For Lightarian Reiki I & II, a comprehensive Training Manual is provided and a smaller, supplemental Training Manual is provided for each of the three follow-on levels. Waiting period between Attunements: For most individuals, a 30-day waiting period between the various Lightarian Reiki attunements is generally recommended. However, under certain circumstances, the timing can be accelerated. Upon completion of each level of Lightarian Reiki: A Master Teacher/Practitioner Certificate is provided to acknowledge your satisfactory completion of each level of the program. And, as a Practitioner, you are energetically prepared to immediately deliver healing energies to your clients and, as a Teacher, you are fully prepared to begin training and attuning your own students. There are two prerequisites for taking Lightarian Reiki: First, you must be an Usui-based Reiki Master/Teacher. Secondly, you must either have received Karuna-based Reiki 1 & 2 OR the Lightarian "Buddhic Boost." The Lightarian Buddhic Boost is offered as a means to energetically "bridge the vibrational gap" between Usui-based Reiki and Lightarian Reiki. Receiving the Buddhic Boost will simply and effectively lift your vibration up to the Second Band of the Reiki energies, in preparation for receiving the higher vibrational bands of Lightarian Reiki I & II. The Buddhic Boost is a very simple attunement designed to vibrationally prepare you for getting started with the Lightarian Reiki Training Program. It requires no formal training of its own and no manual is provided in advance of receiving the Boost attunement. Complete details about the Buddhic Boost are covered in the Lightarian Reiki I&II Manual. 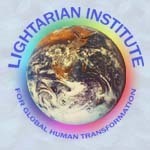 Approximately 30 days after receiving the Boost, you would be ready to receive Lightarian Reiki I & II. However, under certain circumstances, the timing can be accelerated. Please note that the Buddhic Boost attunement is only given to those who are also committed to taking Lightarian Reiki I & II. Therefore, along with the Buddhic Boost fee, prepayment for Lightarian Reiki I & II would be required at the same time. Note: By "Usui-based" we also mean other forms of Usui Reiki Master level, such as Shamballa Reiki and Seichim Reiki. * As you receive your Lightarian Reiki attunements, progressively deeper levels of personal healing will be stimulated and the vibration levels of your chakras and subtle bodies will be raised. * Your mastery and capability for delivering Reiki healing energies of a higher and finer frequency to your clients will be dramatically expanded. * Your latent spiritual "gifts & talents" may start to manifest and your "sense of self" may expand based on the energetic transformations launched by the Lightarian Reiki attunements. * Immediately following your training, attunement and certification at each level of Lightarian Reiki, you are energetically prepared to deliver healing treatments to your own clients and train/attune your own students at that level.